Here are all of our wonderful features from another great line-up of awesome inspiration and delicious food. Thank you so much for sharing all of your wonderful projects last week. I love all of the spring projects. 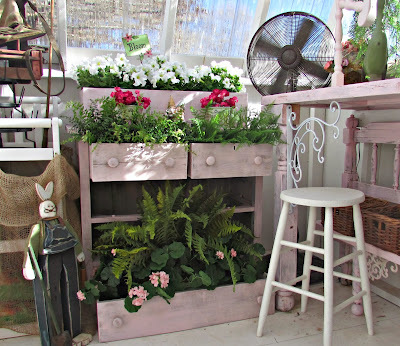 I adore Penny's Vintage Home repurposed dresser to use for her gorgeous plants. Check out her Easter decorating posts while you're at it! Amazing!! A Dose of Paige shared these cute spring DIY Mason jar vases for an easy way to add a touch of spring to your home decor. 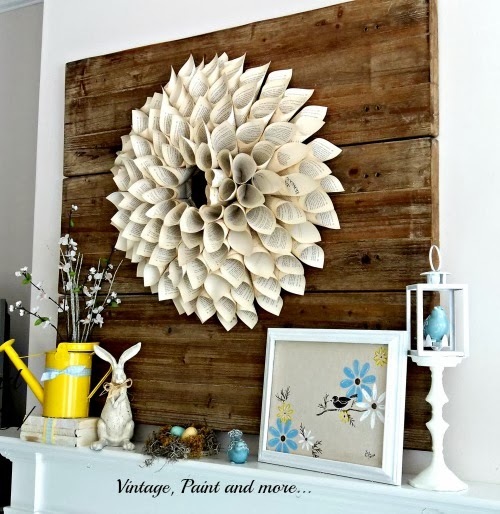 Vintage, Paint and more.. shared her fabulous spring mantel. 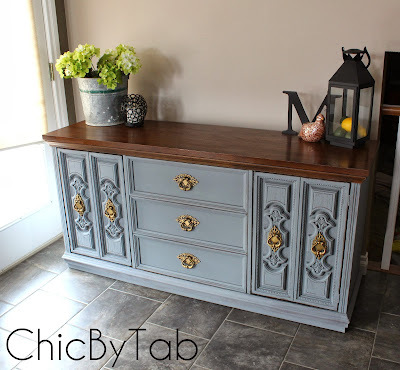 I love this beautiful grey chalk board paint sideboard makeover by Chic by Tab! 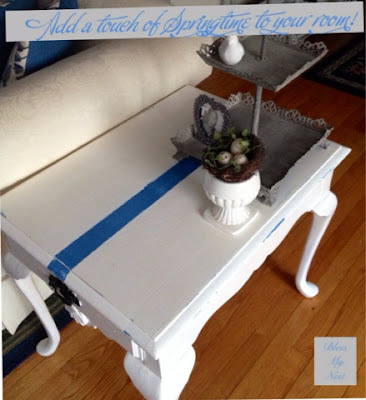 Bless My Nest shared how much pizzazz a little chalk paint can add to an old table. The Tally Tales shared their combination of old, new, and DIY projects mantel! It looks great. 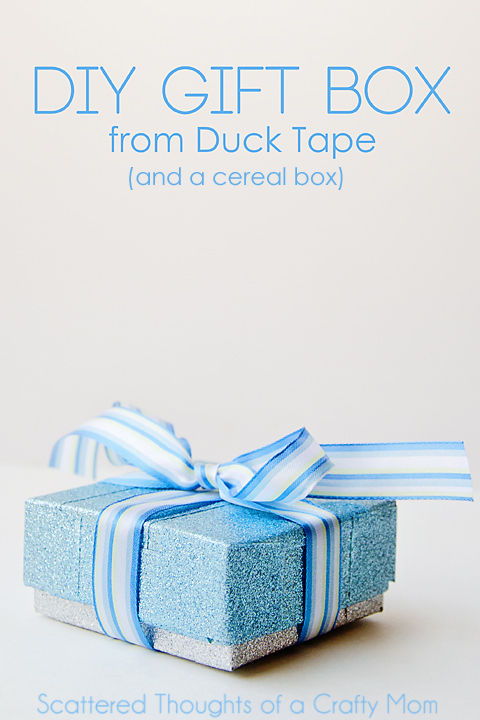 Scattered Thoughts of a Crafty Mom created awesome DIY gift boxes using duck tape. Oh, this Feta Pepper Bruschetta by Love Food Will Share looks so delicious! Lydia's Flexitarian Kitchen shared this yummy Southwest Chowder. Cataldo Life shared this dairy-free Beef Stroganoff. It looks delicious. 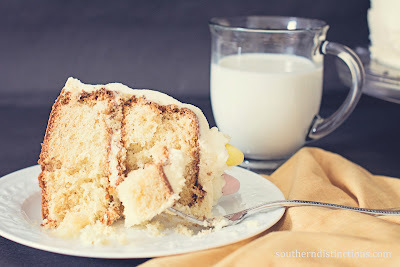 This Caramel Delight Cake by Southern Distinctions looks wonderful! Jodie Fitz created these delicious Mint Chocolate Chip Pancakes. Bakewell Junction shared her Pecan Pie Muffins. YUM! 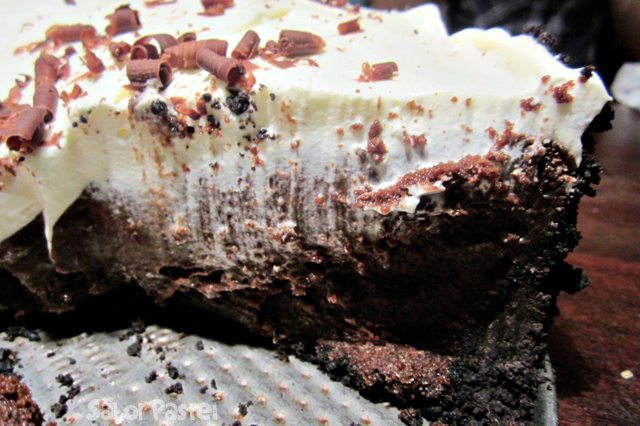 Sabor Pastel shared this delicious Mississippi Mud Pie dessert. With Love From France shared her French Chocolate Tart. It looks amazing. The Lady Prefers to Save shared her Strawberry Pie and some fun and interesting facts about Pi Day! 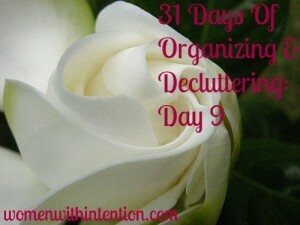 Women with Intention shared a great post on 31 days of Organizing, and this post is awesome for getting all of those recipes in one neat and orderly place. Oh my, so many yummy features!!! You know how excited I get when I find out that my post has been featured? Super excited!!! Thank you...I'm off to boast!